Whether your chapter has had a Freedom by Design (FBD) chapter for years or is trying to start one this year, there is a lot of work to be done! Please take some time to go through the key pieces of information below so you can take advantage of all of the opportunities and guidance AIAS has to offer! Design-build is considered the traditional FBD build project, but this restructuring embraces an engagement branch as well, which encompasses a new realm of FBD projects! These alternative projects allow AIAS chapters to interact with their communities in a way that does not require a physically built project, in an effort to ensure that all AIAS chapters who are interested in having an FBD program are not restricted by the requirements of a physical build. Engagement projects can range from presentations at local high schools to mentorship endeavors to anything in between. Find out more about the expanded scope here. Please note that for design-build projects, it is still mandatory that there is a design mentor and construction mentor on your team. The design mentor must be a licensed architect in the state the build is taking place, and the construction mentor must be a licensed contractor in the state the build is taking place. Given AIAS’ partnership with NCARB, please consider using a member of your state’s licensing board as a design mentor. Feel free to contact the national office at mailbox@aias.org to request an introduction to your state’s board. Many board members are willing and eager to help serve students and Freedom by Design! On behalf of the FBDAC, we hope you are excited to explore these new avenues for public interest design and service, and we can’t wait to see what you come up with! If you are your Chapter’s 2018-2019 FBD Director, CONGRATULATIONS! As you hopefully know, your role is incredibly important. In addition to guiding your FBD Chapter through projects this year, there are a few additional requirements we need you to be aware of, so keep reading! You will be participating in FBD “Pod Calls” with fellow FBD Directors from other chapters in our wonderful organization! This is where you can discuss any issues, questions, and complications pertaining to FBD throughout the year and get the answers that you need. The Freedom by Design Advisory Committee (FBDAC) will be conducting these calls once a month, so keep an eye out for emails and doodle polls pertaining to meeting times. If you have not received any communication from them yet, please send an email to freedom@aias.org with your name and chapter to be added to their roster! You will also be invited to join the BRAND NEW Freedom by Design Slack Channels on the AIAS National Workspace. Be sure to accept this invitation! The FBD Pod Calls and Slack Channels are your opportunity to share tips and tricks with one another, as well as ask questions to your peers that may have overcome situations you are dealing with throughout this year, so get ready and get excited! You MUST Declare Your Project! as soon as your team has decided to go forward with an idea. 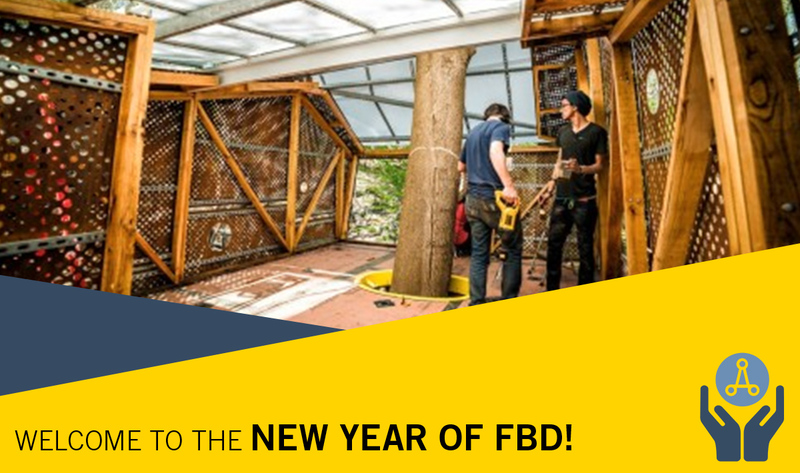 As of fall 2017, chapters can now declare a FBD project at any point in the year! After finding a client and defining a project, declaring allows the AIAS National Office to feature your project nationally and provide support. Please keep in mind that there is no longer an application to establish a FBD program at your chapter. Your chapter will be considered an active FBD program upon declaring a project through our website. Please note: It is important that all the questions on the Declare Your Project! form are filled out accurately and completely. This form will act as your submission to the AIAS National Office and we will not be able to go forward with outreach and support if there is missing information. We also no longer require that you submit the waivers; however, we do ask that these are still completed and on file in case an issue were to arise. As you are working on your projects throughout the year, it is also important to remember to upload documentation throughout the process using the “FBD Project Content Upload” portal on the AIAS FBD Website. After declaring your project, if you attended Grassroots in DC this year, you have the opportunity to apply for grant funding for your FBD Project! By virtue of NCARB’s sponsorship, Grant funding through AIAS National is allocated three times a year. The deadlines to apply for a grant are October 15th, February 15th, and April 15th. If you are interested in receiving a grant, please be sure to select “yes” on the Declare Your Project! form and we will be sure to send you the grant application shortly after. Grants are allocated based on quality of grant application, grant availability, and attendance at Grassroots. Thanks to NCARB, FBD Projects can also help your members earn AXP hours! In order to do so, be sure to fill out the application for Community-Based Design Center/Collaborative Projects here! We are here for you! If you have any further questions or concerns, please do not hesitate to reach out – especially if you are trying to get a new FBD Chapter off the ground or just want to know how to do so! And don’t forget to check your emails for information on FBD “Pod Calls”! We will be sending invites to the first round of doodle polls and Google Hangouts soon. Thanks for reading, and we can’t wait to talk to you more soon!